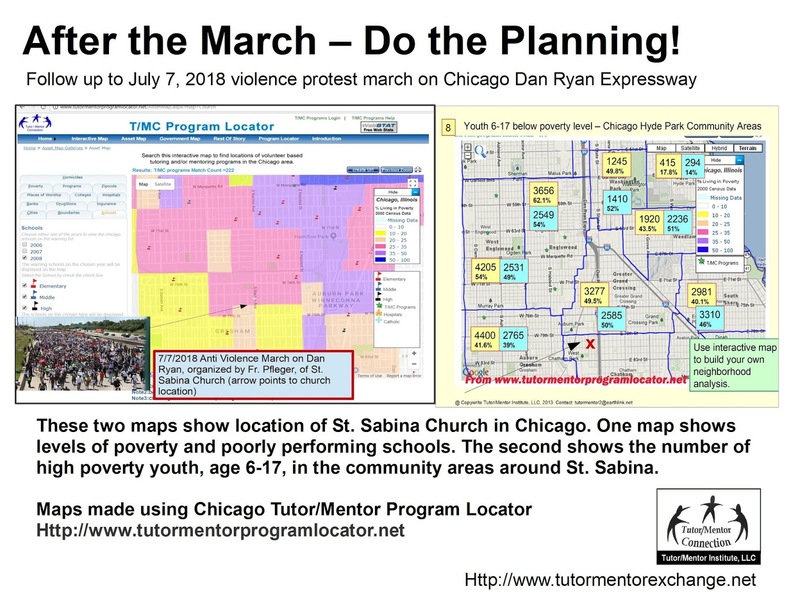 Tutor Mentor Institute, LLC: Visualizing complex problems.Making them Local. 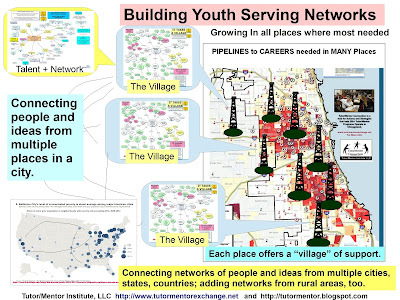 Visualizing complex problems.Making them Local. I used this graphic in an August 2016 article under the title "Solving Complex Problems. No one Promised EASY". In that article I pointed to another article that I had posted earlier, under the title "Want to Make a Difference? Spend time in Deeper Learning." 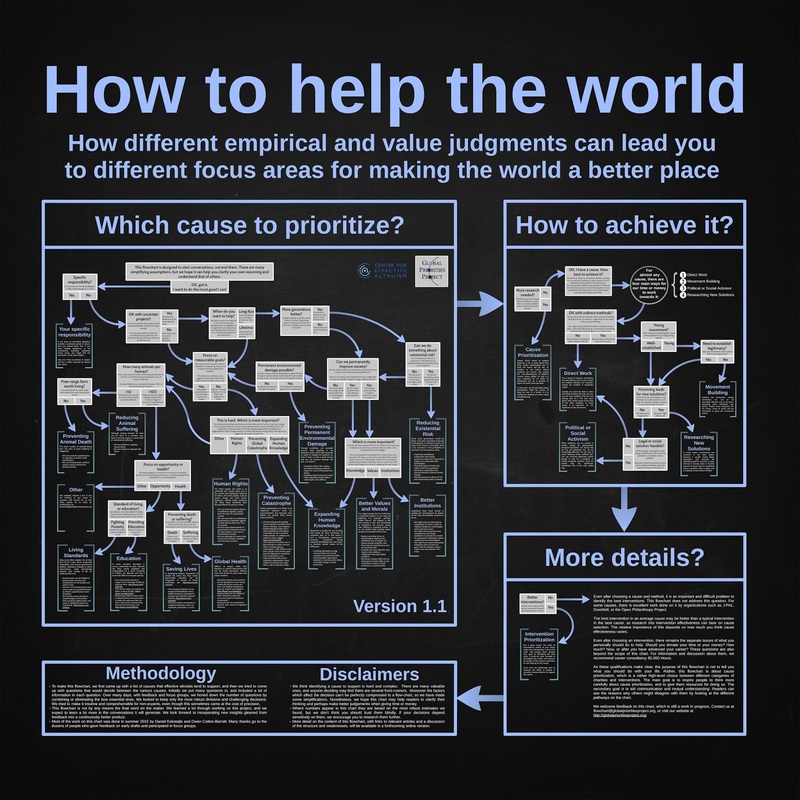 In that article I posted this "How to help the World" graphic. 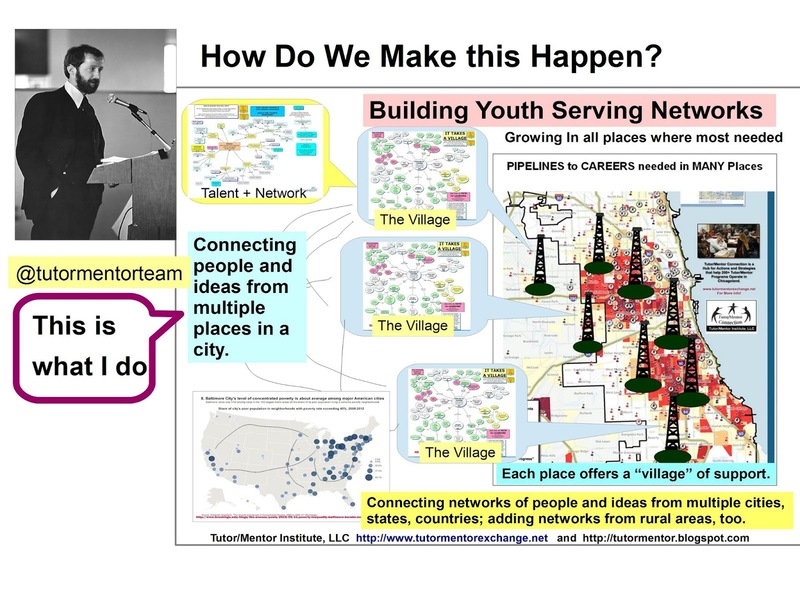 I've been using visualizations like these for a long time to emphasize the many different things we need to be doing to surround kids and families with a rich support system that helps kids move more safely and successfully through school and into adult lives....with jobs and careers that enable them to live and raise their own kids where ever they want. 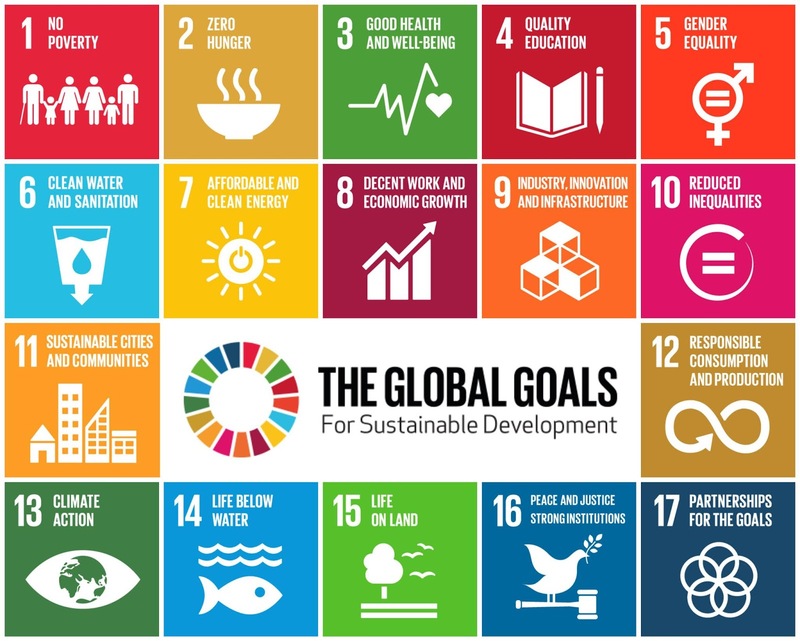 In the past few months I've been following the promotion on social media of the United Nations Sustainable Development Goals. Look at the graphic below. It's also a "table" of issues and goals, with a target of 2030 for meeting them. One thing I like about the way this information is presented is, if you click on this link, you see that for each goal there is a page full of information, that provides a wealth of additional links and resources. Now, visit this page and see how I've combined the SDGs chart with my "race-poverty" concept map. I used Thinglink to point to the different sections on my concept map. 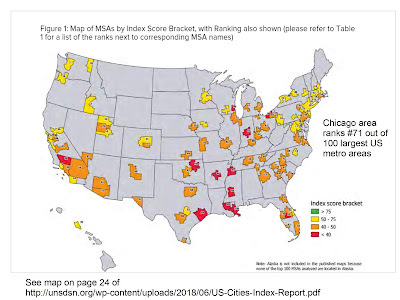 Now take a look at this map, which can be seen in a report titled "Leaving No US City Behind" which shows progress (or lack of) made by each of the 100 largest cities in the US toward achieving the UN goals. Chicago is 71st on this list. No city is doing really great. These 100 metro areas represent 210 million people, or 66% of the US population. 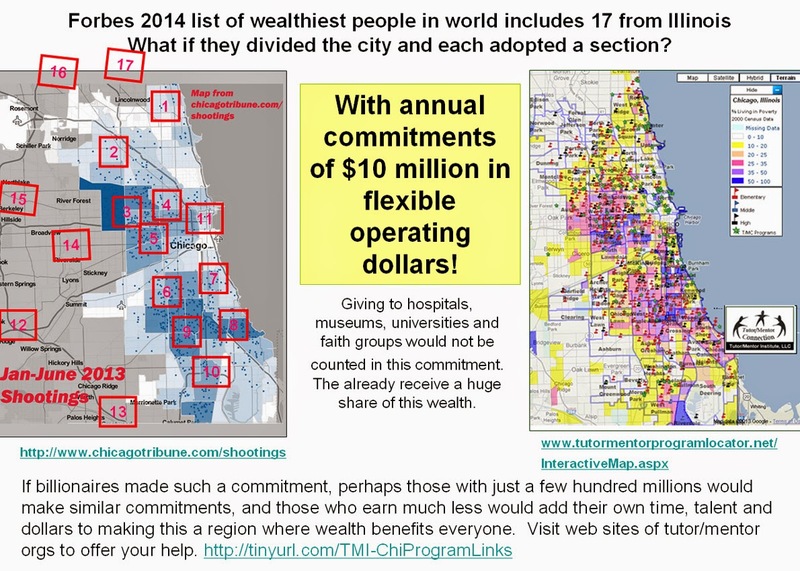 All of the ideas on this blog, and the Tutor/Mentor Institute, LLC web site, focus on Chicago, and similar cities. In total, US cities represent 85% of the population. We must find ways to make them work better. 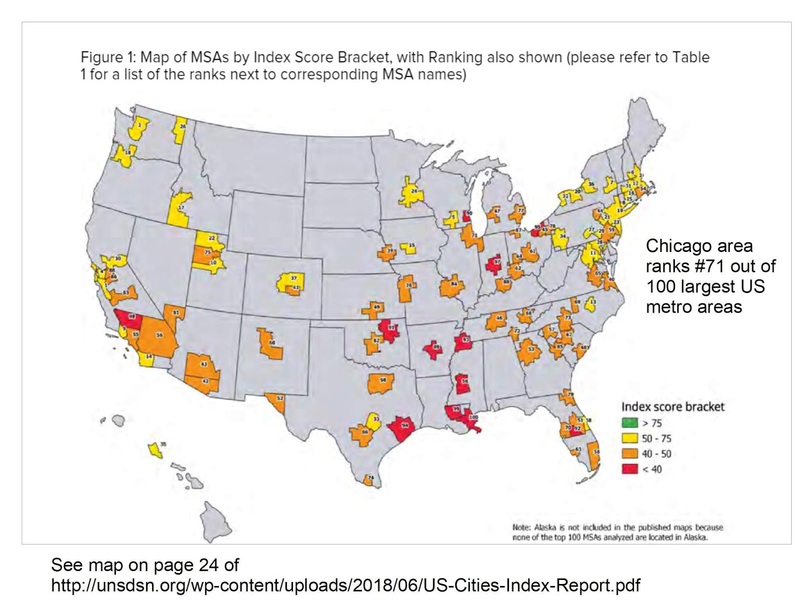 With the graphics above I'm trying to show that in every city we need to understand and address all of the problems shown on the SDG chart and my race-poverty map, concurrently, not one at a time. To do this we need to redesign how non profits and social enterprises are funded, as well as how we get people engaged and keep their interest and involvement for many years. 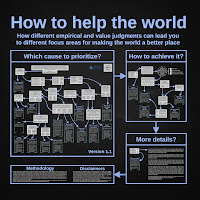 Web sites that aggregate information can be useful libraries that anyone can draw from to better understand different parts of complex systems and to see how each problem is being addressed in different places, and might be applied in any local area. Gathering people together to look at this information, read, reflect and discuss it, etc., is a role many in any community can take. 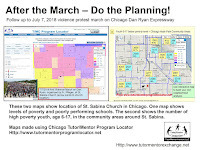 That leads me to this graphic which I included in an article that I posted last Sunday after the violence protest march on Chicago's Dan Ryan Expressway. What I'm suggesting is that planning and community organizing to solve these problems needs to be a local-global process. 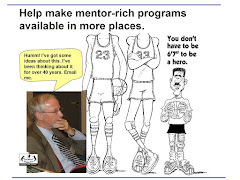 The Tutor/Mentor Connection, which I lead, created an interactive, map-based Tutor/Mentor Program Locator in 2008 that enables people to build maps showing indicators of need (poverty, poorly performing schools, existing tutor mentor programs, assets who could be helping programs grow (banks, faith groups, colleges, hospitals, etc) and political districts. 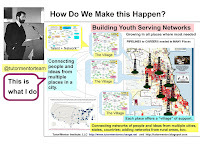 Using interactive platforms like the Program Locator*, maps like I'm showing can be created, showing an area as small as a few blocks, and showing some of the stakeholders who need to be connecting and looking at all of this information. At some point someone should be able to create a map with icons on different neighborhoods, indicating that planning groups are meeting, learning and using this information to address issues specific to each different neighborhood. 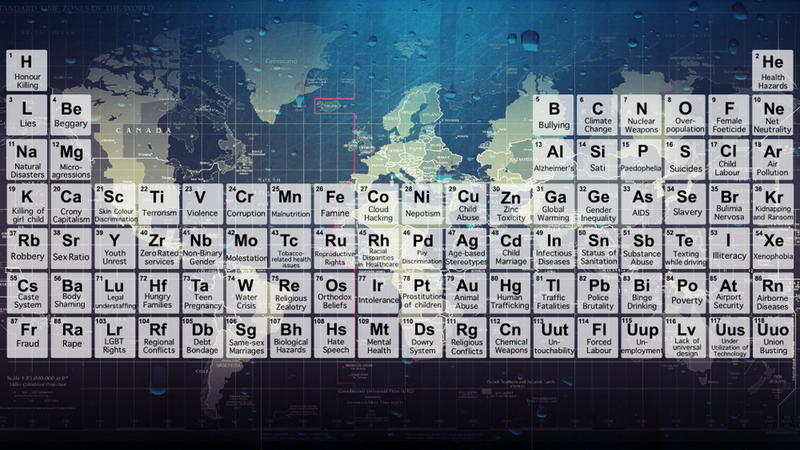 If such information is on an interactive platform, with links to each group, any group can connect and learn from any other group. Billionaires and others blessed by wealth might even be persuaded to provide the on-going, flexible operating dollars each planning group and neighborhood network needs to do the learning, planning and program development needed over a 10 or 20 year period to meet the UN goals by 2030. Wishful thinking? Maybe. But the rescue of the 12 kids from a cave in Thailand shows that if we put our imagination to solving a problem, it's possible. The alternatives are not so good. * Due to my own bad luck and lack of resources the Program Locator has not been updated since 2013. However, it still can be used to create map views illustrating the type of problem solving I'm suggesting. Mother of 2 Gunned Down. Forgotten.